The striking and innovative MP4-31 chassis integrates the new Honda RA616H power unit, developed exclusively for the team. Although a high level of continuity in Formula 1’s technical regulations has enabled the team to strengthen and mature many of the design concepts developed on last year’s McLaren-Honda MP4-30, the new car also incorporates a significant number of all-new innovations. The result is a balance of remarkably elegant aerodynamic solutions with a highly space-efficient integration of Honda’s new-for-2016 power unit. While McLaren’s race team has spent an extremely busy few months developing the MP4-31 right up to the very tight deadline dictated by the truncated modern off-season, its marketing team has also enjoyed a very strong winter, announcing a raft of prestigious new commercial deals to add to a roster of equally valued existing partners. Joining McLaren-Honda’s partner group for 2016 will be the world-renowned luxury watch brand Richard Mille, which commences a 10-year marketing, branding and licensing collaboration. Global luxury goods giant LVMH will continue its long unbroken association with the team, through its premium sparkling wine brand Chandon, whose rising-star identity will adorn both the MP4-31 and the drivers’ race suits. Other important and valuable recent acquisitions include a brand-new haulage supplier, Volvo Trucks, and a brand-new technical services provider, IT Lab, while official services supplier ISS has renewed and extended its partnership. 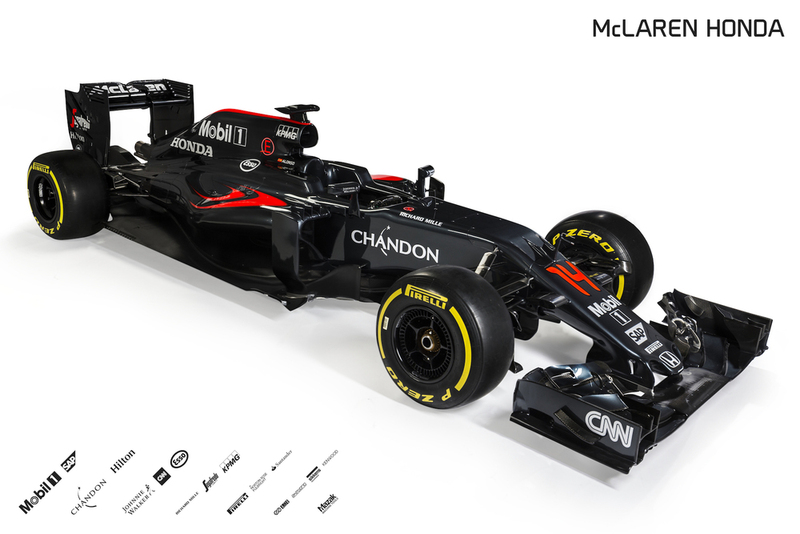 Also, official electronic communications supplier Kenwood celebrates 25 years as a McLaren partner this year. Finally, 2016 marks the second year of a 10-year alliance with KPMG. 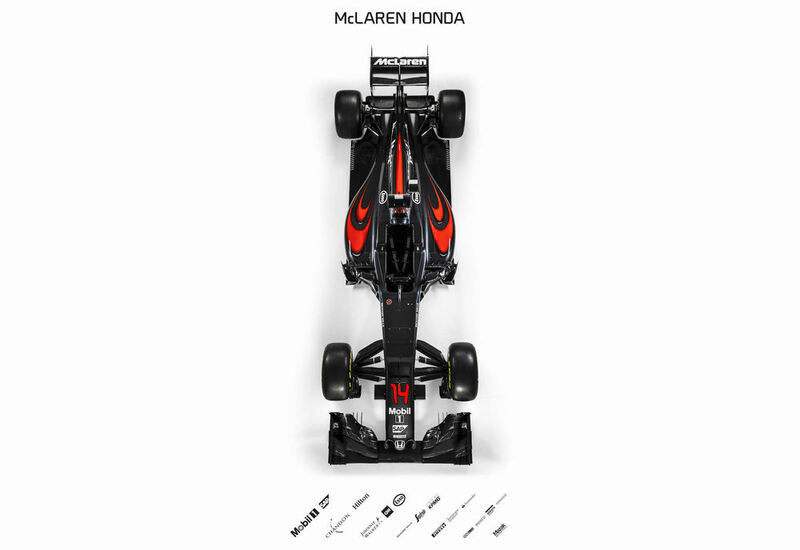 In addition to the aforementioned acquisitions and renewals, McLaren-Honda is once again privileged to count on the loyal support of an impressive portfolio of partners old and new, including Johnnie Walker, SAP, Hilton Worldwide, CNN, Santander, GSK, Mazak, AkzoNobel Sikkens, Segafredo Zanetti, Akebono, Norton Rose Fulbright, Enkei, Repucom, Sparco, Maxi Nutrition, Asics and TechnoGym. Last but very far from least, McLaren-Honda’s preparations for 2016 have once again benefitted enormously from the unrivalled resources and expertise of ExxonMobil, which is celebrating 22 years of partnership with McLaren this year. ExxonMobil’s engineers, together with their counterparts at Honda, have been tirelessly developing pioneering new technologies and formulations of Esso fuels and Mobil 1 lubricants for the all-new Honda RA616H V6 turbo power unit, and Mobilube 1 SHC racing gear oil for McLaren’s bespoke eight-speed gearbox. Importantly, the size and calibre of our partner roster – and its collective commitment to the team – underscores the confidence that all at McLaren have in our journey back to the podium.